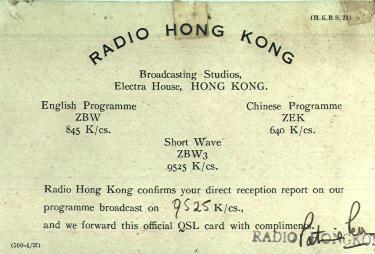 QSL card from ZBW3, Radio Hong Kong for report circa 1953 on 9.525 mHz. Power was 2500 watts. This QSL was from Radio Hong Kong English Service on 9.525 mHz. This was a regular on the west coast of the U.S.A. in those years.